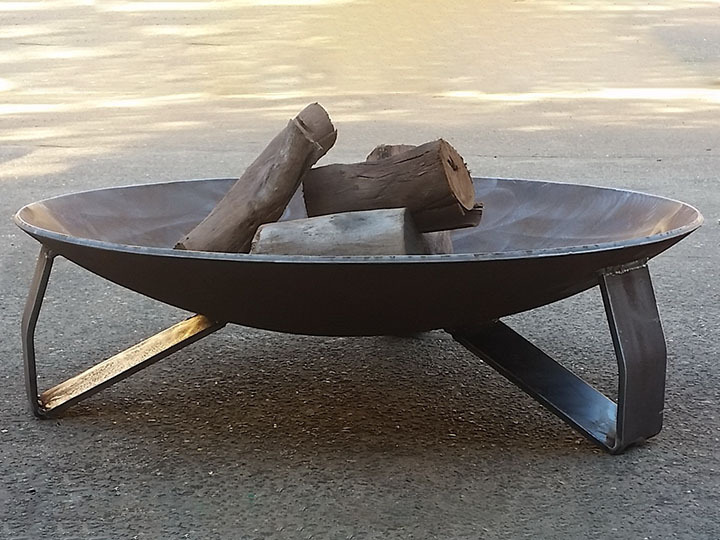 Our Fire Pits are made from Australian 250 Grade Mild Steel in 3 mm to 5 mm thickness. With 2 diameter options, 60 cm or 1 M and varying heights, we will have the right one to suit! With all designing done in house, we can create the perfect design for you. Browse through our gallery to see some of our more popular designs and chat to us today. Bring the family together and watch the design come to life! Our Braziers are simple, stunning and made to last! Australian made in house un 5 mm, 8 mm or 10 mm 250 Grade Mild Steel. These beauties will sit proudly in your space for many years to come. Round or square, on legs or low set, with 2 size options, we will have the right one for you. Have a browse through our Gallery! 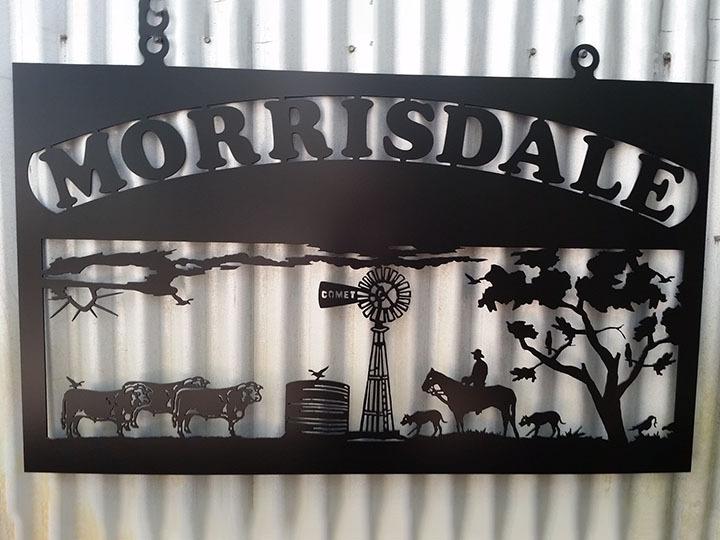 A sign from H&S metalcraft will really set you Home, Property or Business apart! Choose from one of our designs or talk to our Designer about what you would like. With varying material and finish options to choose from, we will create a Sign that will sit pride and place at your place! 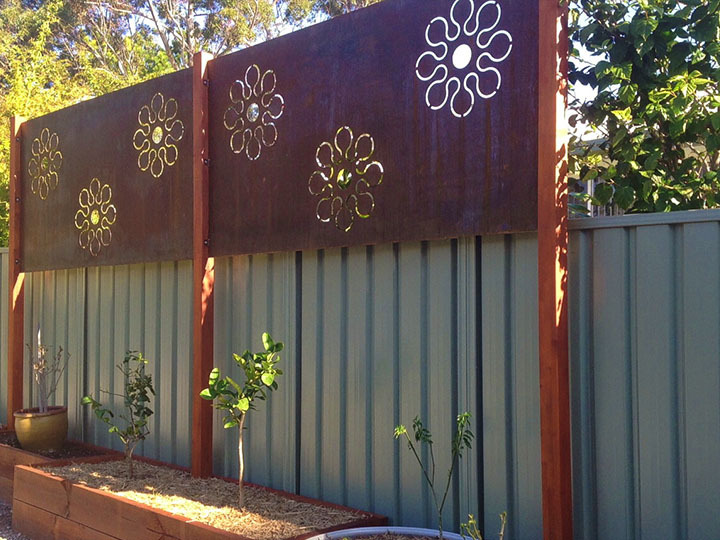 Laser Cut Privacy and Decorative screens will bring any backyard, courtyard or outdoor space to life! Also, perfect inside too! Choose from our wide range of designs and we can customise sizes too. Got a design in mind, talk to us today and see your ideas come to life in Rusting Corten, Aluminium, Stainless Steel and more! What will set your Garden apart from the rest? 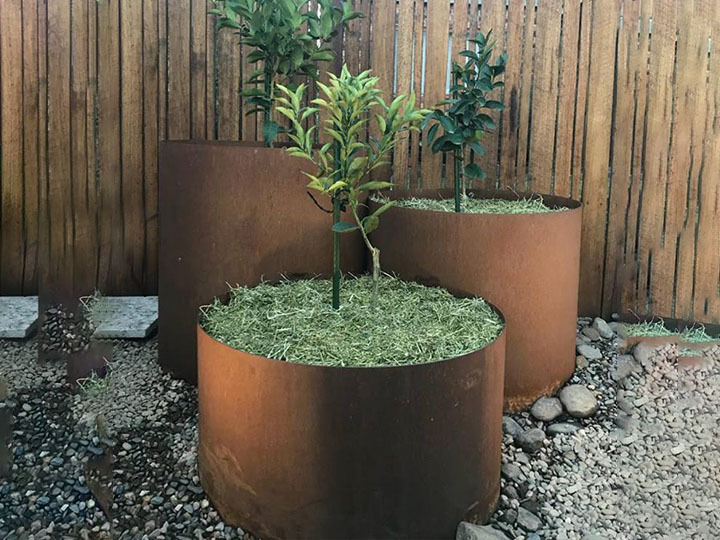 A Beautiful Set of Corten Pots, Corten Garden Edging, Wood Storage Racks, and more! Chat to us about your vision and see it come to life! 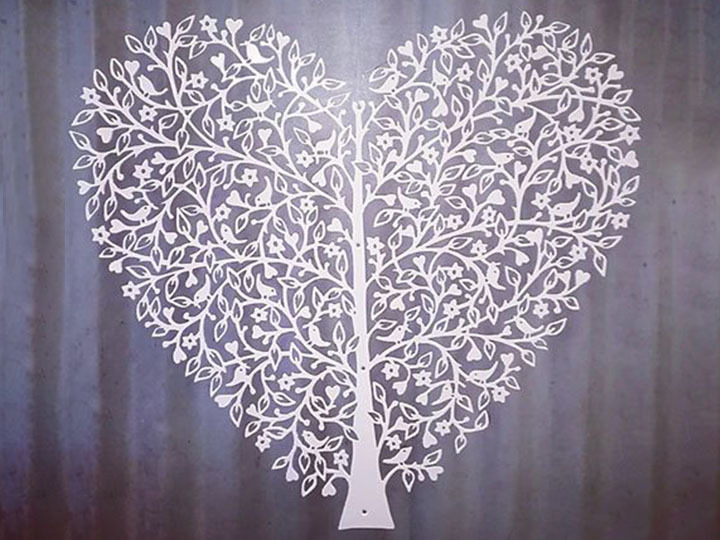 H&S Metalcraft is renowned for its craftsmanship and attention to detail and our Wall Art is where this really shines. From Tree of Life designs to Vintage Cars to Farm Scenes and Key hangers, we have something for everyone. They make the perfect gift or just for yourself! Browse our Gallery and check out our Facebook page for more ideas too! 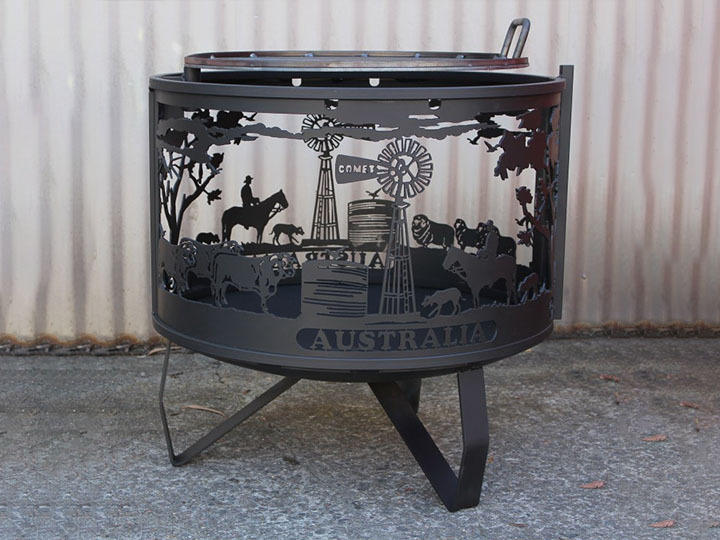 All designed and made in house from quality Australian Steel, you won’t be disappointed!